It’s still a man’s world in corporate India but some women leaders inspire us all. On the occasion of International Women’s Day 2011, three successful women of corporate India share advice for women who are professionals. –Chanda Kochhar, managing director and chief executive officer, ICICI Bank Ltd. 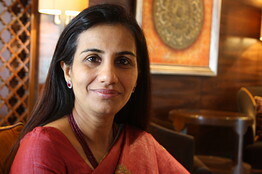 If women want to be treated as equals at the workplace, they should not be asserting their womanhood, says Ms. Kochhar. Avoid saying things like, “I have to go home at 5 o’ clock because I am a woman.” Or “I will not travel because I am a woman,” says Ms. Kochhar. “Whether you are a man or a woman, you need to put in the hard work,” says Ms. Kochhar. Ms. Kochhar joined ICICI in 1984 as a management trainee, and at the time, she says people couldn’t believe that a young woman was visiting factories. She recalls that many factories and offices did not have washrooms for women back then. On juggling between a hectic work schedule and family life, Ms. Kochhar says that women need to put in much more effort than men, so they should continue working only if they don’t consider it a burden. Ms. Kochhar makes it a point to stay in touch with her children even when she travels for work. When Ms. Kochhar’s children were younger and she had to travel, she would ask her mother to come and stay with them. The veteran banker says her female role model is the average Indian woman, including women in rural India who put their family and children before themselves. –Vinita Bali, managing director, Britannia Industries Ltd.
“Since (women) are in a minority, more attention is paid to how you deliver or handle pressure,” says Ms. Bali. The key to dealing with this scrutiny, she says, is to not pay too much attention to how you are being perceived by others. “Do what you believe in,” says Ms. Bali. While Ms. Bali says she has never experienced gender bias in her working life, she has seen it around her. “We are a society where on one hand we are talking about giving girls and boys equal opportunities…but we also do not give women the deserved credit,” she says. Ms. Bali says companies need to do a better job of providing equal opportunity at work, and also of tackling harassment of women in the workplace. Companies need “to send a strong message that such actions will not be tolerated” says Ms. Bali. She says that women in India often make more adjustments than men to balance work life with a family, with many quitting their jobs. But these women don’t have to worry about getting a job afterwards, so long as their work speaks for them. In a growing country like India, “there are more opportunities than qualified people,” says Ms. Bali. 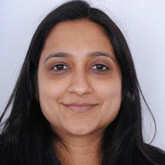 –Jayashri Ramamurti, head of human resources for engineering and product, Google India. Women need to talk about their problems and stand up for themselves more often, says Ms. Ramamurti. “Most of the time women expect people to understand (what they want) without voicing their concerns,” says Ms. Ramamurti. But this doesn’t get them anywhere. So for instance, if a woman needs flexible work time for a specific period, she should discuss it with her manager, says Ms. Ramamurti. To balance work and family life, Ms. Ramamurti suggests that women should not be ashamed of asking for help. “Women have an image of how they want to raise their kids and do not like to compromise on that by seeking help,” says Ms. Ramamurti. She took a break from her career for four to five years to raise her children. Since then, she has relied on maids and family members to help out. “My father lives with me which has really helped,” says Ms. Ramamurti. Do you think Indian women professionals are treated equal in corporate India? Share your thoughts.